Global temperatures are on course for a rise of 3 to 5 C this century, far overshooting a global target of limiting the increase to 2 C or less, the UN World Meteorological Organization says. Global temperatures are on course for a rise of 3 to 5 C this century, far overshooting a global target of limiting their increase to 2 C or less, the UN World Meteorological Organization said on Thursday. 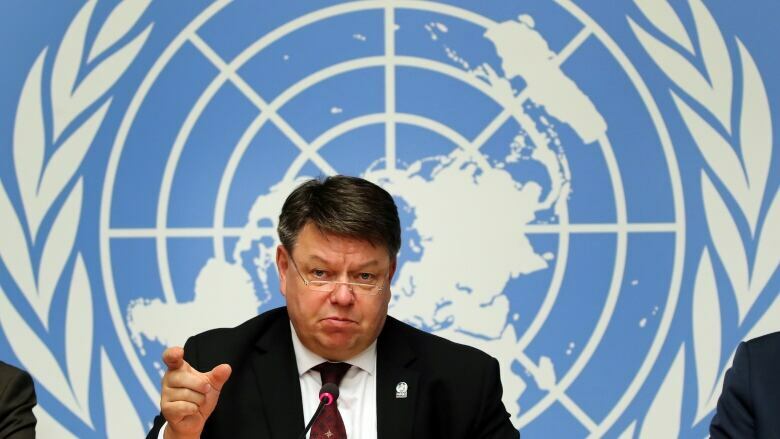 "Greenhouse gas concentrations are once again at record levels and if the current trend continues we may see temperature increases 3 to 5 C by the end of the century," Secretary General Petteri Taalas said in the WMO's annual statement on the state of the climate. Scientists say it is vital to limit the rise in global temperatures to 2 C to avert more extreme weather, rising sea levels and the loss of plant and animal species, although limiting the rise to 1.5 C would have a far greater benefit. At the 2015 Paris climate conference, the countries of the world pledged to work to limit the rise to 2 C, a step that will require a radical reduction in the use of the fossil fuels that are the primary cause of global warming. On Sunday, the most important UN climate conference since Paris opens in Katowice, Poland, in one of the most polluted coal-mining regions in Europe. The talks are intended to produce a "rule book" on how to implement the 2015 Paris Agreement, which the United States, at the behest of President Donald Trump, has announced it will quit. Success, according to the conference's Polish host, will need a miracle. Taalas said the lower end of the range, a 3 C rise in temperatures, came from a model assuming that countries acted on their pledges to meet the Paris targets. "If all the countries were able to meet their pledges, we would be able to reach 3 C, which would mean a growing amount of disasters and difficulties with agriculture," he said. But he added that the economic and technological means already existed to limit the rise to 1.5 C.